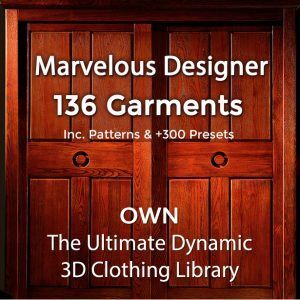 Here’s a free Marvelous Designer 5 beginner tutorial demonstrating how to texture Marvelous clothes. In this tutorial I’ll demonstrate how easy it is to change colors and use seamless fabric textures to texture Marvelous Designer garments. 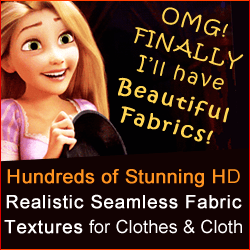 You’ll learn how to tint textures, scale textures, apply textures using the Library tab, how to use transparency and normal maps to add detail to Marvelous clothing. Check out our free Marvelous Designer video tutorials how to add decorative trims to your Marvelous clothing. Want to know how to add stitches onto your clothes? Watch our free Marvelous Designer stitches tutorial here. Subscribe for more free Marvelous Designer beginner tutorials. If you’re using Marvelous Designer 7, watch this tutorial on how to use the new MD7 texture transform tool to scale and transform textures on your patterns/garments. Want to Master Marvelous Designer? Go here for an in-depth Marvelous Designer beginners course.